This page provides links and career opportunities that are of interest to CTSA members. The CTSA does not sponsor or endorse the opportunities that are listed here. Please direct requests for further information to the person(s) or organization(s) responsible for the posting. To submit a position for posting to the Career Opportunities bulletin board, please email the job description as an attachment in PDF format or provide a URL address to CTSA Executive Director. In the body of your email, please include your name, your department and institution's name, and a telephone number where you can be reached. While the CTSA does not charge a fee to post items on the Career Opportunities board, donations are encouraged. Director Ethics Programming, Franciscan Alliance, Inc. Associate Director of Campus Ministry: Service, Social Justice, & Evangelization, Catholic Student Center, Washington University, St. Louis, MO. Visiting Assistant Professor of Theology, 1-yr position / potential for renewal (August 2019), Department of Theology, King's College, Wilkes-Barre, PA. Full-time fellow (Assistant Professor) in Theology (Fall 2019), Holy Spirit College, Atlanta, GA.
Assistant Professor (1-3 Years Approved Position in Moral Theology), Department of Theology, Saint Anselm College, Manchester, NH. Dean, Faculty of Theology, St. Paul University, Ottawa, ON. Senior Editor with General Publishing and Catholic Market Experience, Paulist Press, Mahwah, NJ. Director, Ashley-O'Rourke Center for Health Ministry Leadership & Regular Faculty Member in Moral Theology (July 2019), Aquinas Institute of Theology, St. Louis, MO. 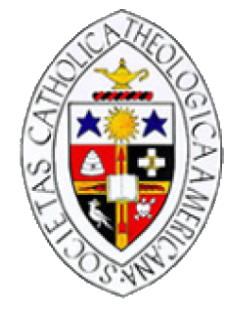 Faculty Position in Moral Theology (July 2019), Aquinas Institute of Theology, St. Louis, MO. Assistant Professor, Scripture and Tradition with an expertise in Catholic Bioethics, Belmont Abbey College, Belmont, NC. Tenured Faculty Position, Fr. Ferree Chair of Social Justice, University of Dayton, Dayton, OH. Faculty position in Sacred Scripture, School of Theology/Seminary Program (Fall 2019), St. Mary's Seminary & University, Baltimore, MD. Assistant/Associate Professor of Theology and Religious Studies (full-time, tenure-track position), Emmanuel College, Boston, MA.